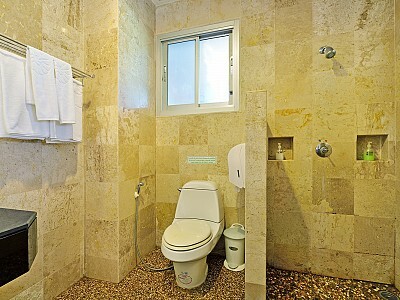 The spacious 55 sqm. 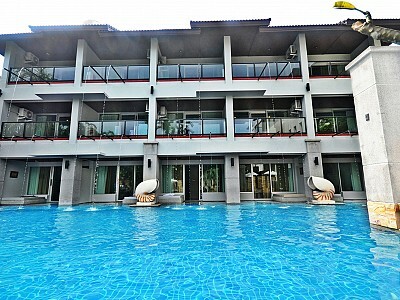 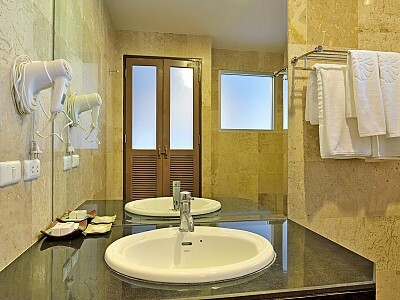 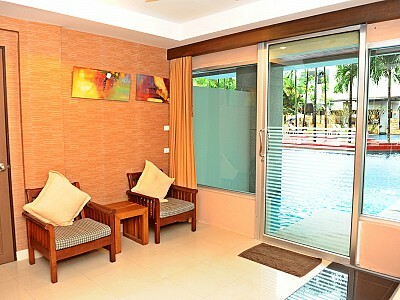 Deluxe Pool Access rooms are located on the first floor for direct access to the resort swimming pool. 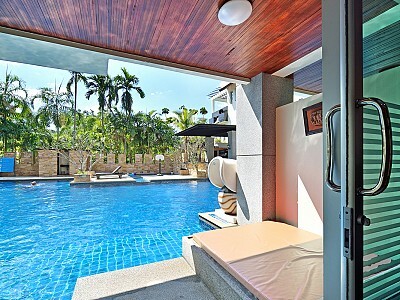 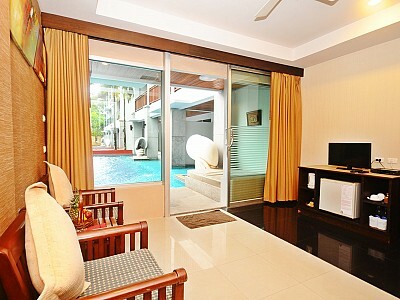 Each room has a large balcony next to the pool with a daybed for relaxation. 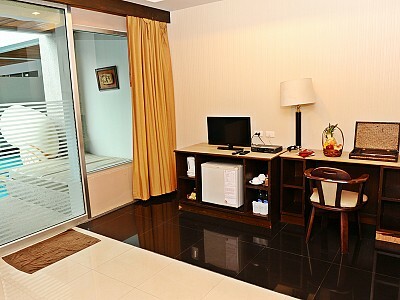 There is plenty of space to comfortably sleep, separate bathroom and living area which includes a desk and fan. 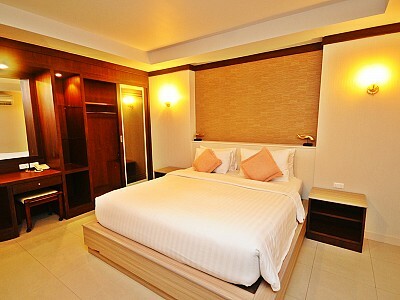 The room is decorated in contemporary style with wooden furniture and Thai fabrics.